Our range of products include oxygen breathing apparatus and self contained breathing apparatus. 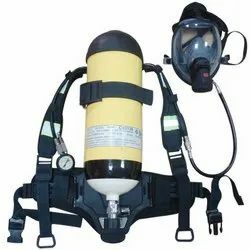 Manufactured in accordance with the set industrial norms and guidelines, the offered Oxygen Breathing Apparatus is known to be one of the finest that is available in the market. Owing to the high grade raw materials and modern technology applied in its making, the offered product has a longer functional life. It is ideally used for the purpose of breathing in low oxygen situations. We are considered in the market to be one of the leading manufacturers and suppliers of this highly commendable range of Self Contained Breathing Apparatus. For the purpose of its standardization, the offered product, manufactured using the finest raw materials, is processed through a number of quality checks. 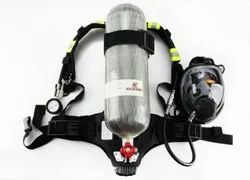 Looking for Self Breathing Apparatus ?